IBMs Data Breach Study – Which Industries Have the Highest Cost? In July, IBM and Ponemon Institute released the 2018 Cost of Data Breach Study: Global Overview in which they conducted interviews with more than 2,200 IT, data protection, and compliance professionals from almost 500 companies that have experienced a data breach in the last year. Their report shows an increase in stolen data records and in cost of data breaches year over year. 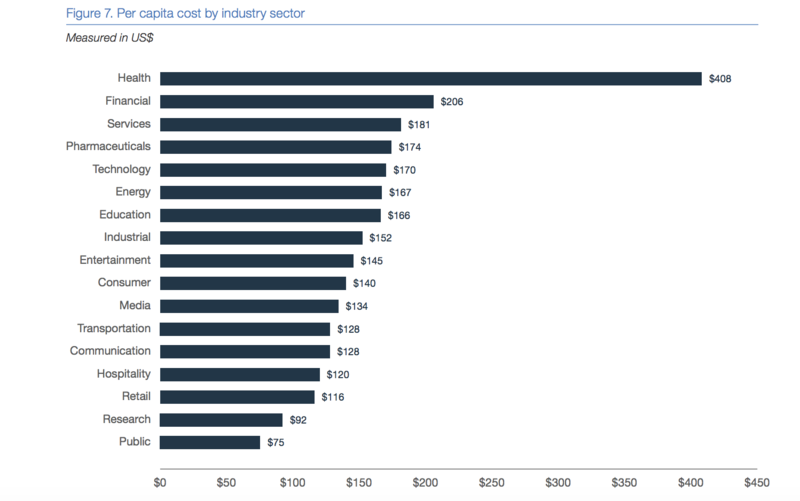 As shown in the above chart, heavily regulated industries such as healthcare and financial organizations have the highest per capita data breach cost. 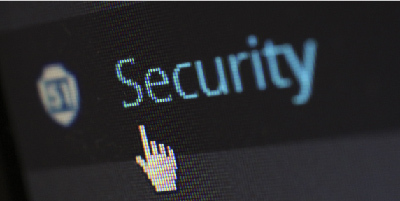 According to Healthcare Informatics, for the eighth year in a row, healthcare organizations had the highest costs associated with data breaches – costing them $408 per lost or stolen record – nearly three times higher than the cross-industry average ($148). The next highest industry was financial services with an average of $206 per lost or stolen record. Here’s the challenge: how does an enterprise decentralize control across a large organization and still simultaneously enforce standards that allow them to mitigate risk avoiding data breaches? If they open Pandora’s Box to innovate, can they maintain integrity across a large infrastructure to properly operate? How can DivvyCloud help? DivvyCloud provides the automation essential to enforce policy, thus reducing risk, provide governance, impose compliance, and increase security across large-scale multi-cloud infrastructure. By utilizing our platform, companies like Discovery, Twilio, General Electric, Kroger, Fannie Mae, Turner, and Autodesk stay agile and innovate, while maintaining the integrity of their technology stack and apply the policy they deem necessary to operate their business. Core to DivvyCloud’s platform is an easy-to-use interface from which clients can deploy more than 125 standard bots or create their own for specific use cases to manage their existing cloud infrastructure. At scale, policy enforcement cannot and should not be performed manually. DivvyCloud customers can discover and automatically take action to address policy infringements or security issues. Automation allows for simultaneous offense and defense, resulting in increased innovation and a reduction of risk. Within enterprises, the pace of migration from data centers to a public cloud or hybrid cloud infrastructure has ramped significantly over the last couple of years. Gartner predicts as enterprises become “cloud-first”, spend for cloud management and security services are estimated to grow to $14B by 2020. Recent news cycles and reports (like Ponemon’s 2018 Cost of Data Breach Study: Global Overview) about the cost of compliance violations and security breaches only buoy the case and support the need for automation at enterprises to operate cloud infrastructure at scale. Rather than single-vendor source, enterprise customers are implementing a multi-cloud approach that requires third-party tools to optimize environments. DivvyCloud has built a flexible, extensible platform that helps manage compliance, cost, and security. The solution builds an infrastructure map then detects abnormalities in real time based on client specific rules. Bots warn of violations of policy and automate the remediation. To learn more about how DivvyCloud is helping its clients unlock innovation through cloud automation, speak with a DivvyCloud expert or install DivvyCloud with a free 30-day trial today. By utilizing platforms like DivvyCloud and exercising the power of automation, enterprises can be agile enough to delight their customers, while still being able to sleep at night.